I’ve been on a non spinach version for dessert smoothie kick for a few weeks now, trying different flavors and loving all of them! I make this version then add spinach for the green version the next morning. It satiates my want for something sweet, which is awesome fruits, then add the greens for my trusty greens smoothie to start my day off right. We are all into this new habit of mine and so far I don’t have a favorite but I’m loving this orange version a ton! 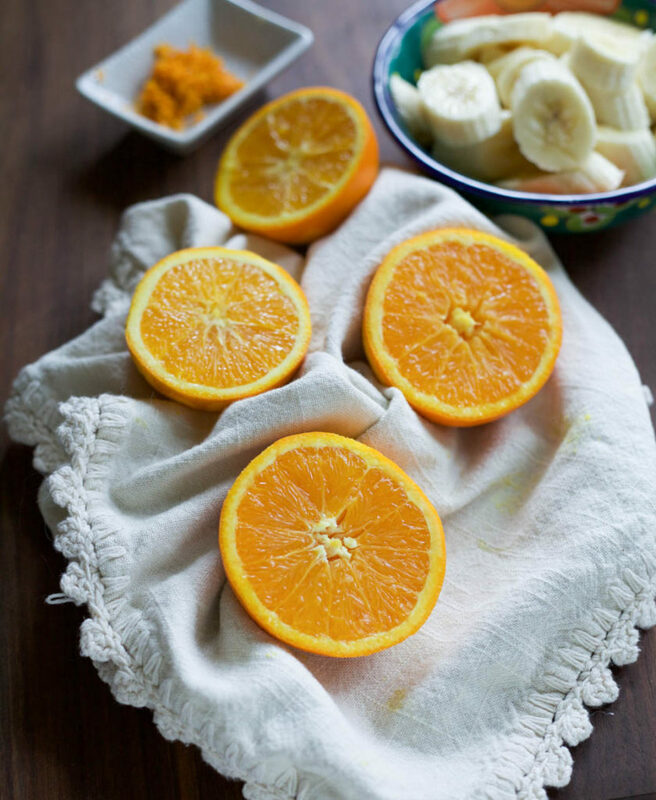 It’s bright and cheery, so it makes me smile, it makes the house smell oh so lovely with the fresh oranges, and super creamy from the yogurt and bananas. 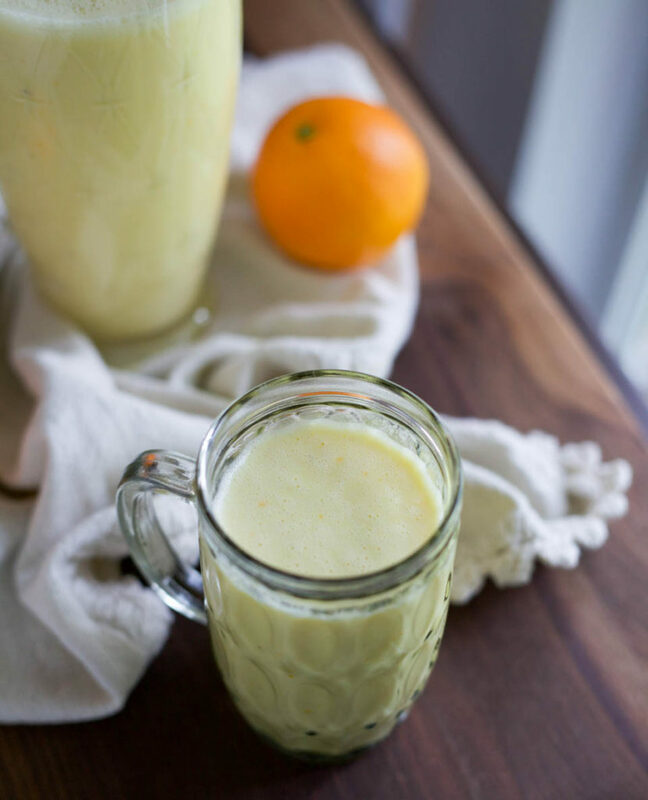 It sort of reminds me of the orange julius but super crazy healthy version. I did add the orange zest because it has tons of nutrients that I didn’t want to waste. It changes the flavor a bit and gives it a bit more intense orange flavor, which I love. I made this version, poured some out for dessert, then added the spinach to make enough for my green breakfast smoothie. Best of both worlds! Add ingredients to blender, blend on high until smooth and blended well. 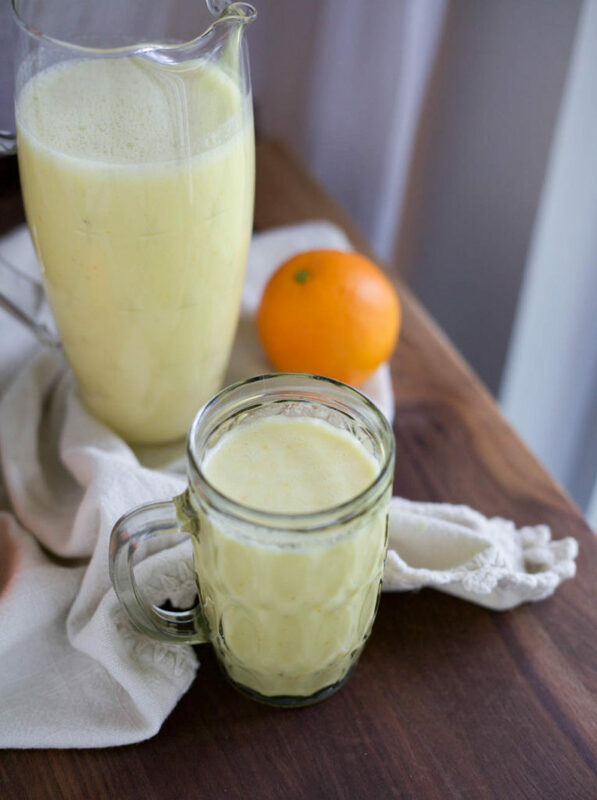 Serve immediately and enjoy this tasty Orange Banana Smoothie Shake! Or store in fridge until next morning. Orange and banana?! What an amazing flavour combo! I’m so tired this morning and I could just do with one of these to get my Monday kick started! Oh totally! The orange will wake you right up! 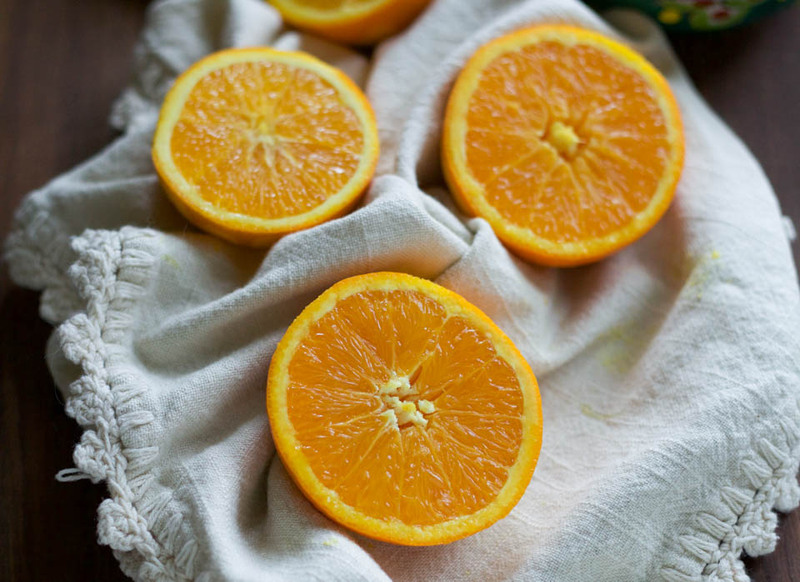 Oranges always make me happy. 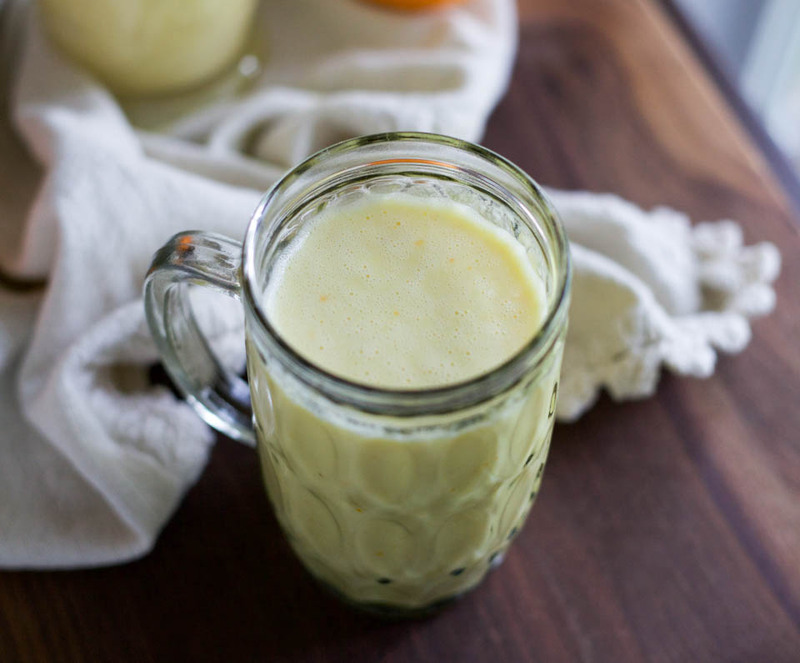 I haven’t made an orange smoothie in awhile – add that to the must make ASAP list! Oranges make me too, thank you!